Country music singer-songwriter Thomas Rhett's “Look What God Gave Her” music video highlights some really awesome ladies! Check it out here! Country music star Thomas Rhett’s “Look What God Gave Her” music video has dropped! The video directed by TK McKamy showcases a series of trailblazing women who are all inspirational ground-shakers – ranging from charitable leaders, mothers, artists and beyond. 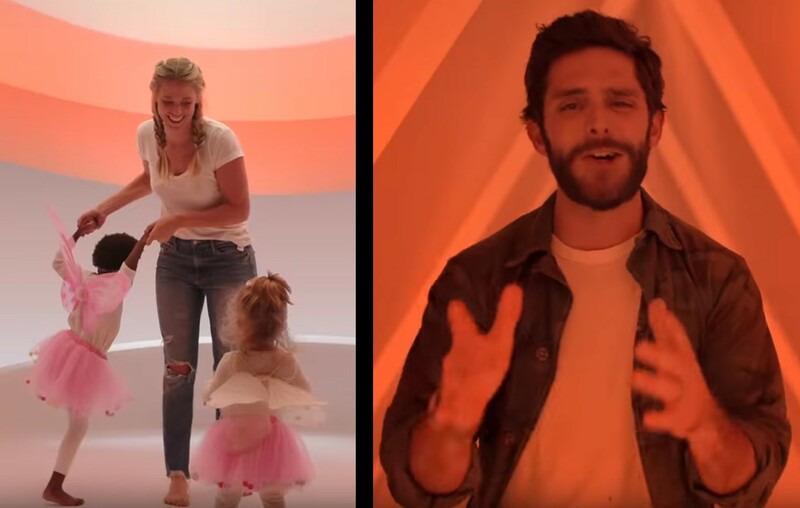 Additionally, Thomas Rhett’s wife Lauren Akins, along with their two daughters, Willa Gray and Ada James, appear throughout the video. Watch Thomas Rhett’s “Look What God Gave Her” music video below! The upcoming album’s lead single “Look What God Gave Her” has already earned the highest chart debut of the artist’s career. Center Point Road, out May 31st, connects fans to Rhett’s past, weaving together autobiographical stories with familiar sounds that have propelled his meteoric career. The highly-anticipated new music is the follow-up to the Platinum-certified smash Life Changes. On May 17th in Spokane, WA, he will kick off his headlining Very Hot Summer Tour, visiting 40 stops across the nation. How could anybody blame her? Share Thomas Rhett’s “Look What God Gave Her” music video with other fans!